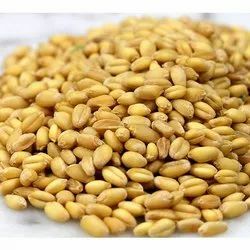 Huge bulk of quality approved Wheat Seed is providing by our company to the patrons. Our Wheat Seed is basically tested on various parameters in order to assure its world class quality. Also, our Wheat Seed is best for cultivating high grade wheat. Plant height (cm): 80 -85. Seed rate: 100 kg /ha. Spacing: Drilling at distance of 22.5 cm. Days to 50 % flowering: 48-50 . We are the wholesaler and producer of Certified Wheat Seed. We are also immersed in offering a broad gamut of Harsha Wheat Seeds to our patrons. Being a quality-focused firm, we are offering highly effective grade of Wheat Seeds. Patrons can avail this product from us at reasonable prices. rich in protein and taste, our organic wheat is known for high nutritional value. Our wheat grains are grown in fertile fields under hygienic conditions. Free from any kind of foreign materials, our raw wheat is packed under strict quality controls. We have carved a niche as one of the leading wholesale wheat suppliers in india. We offer the Wheat Seeds that are procured from the reliable vendors of the market. The Wheat Seeds are clean, free from live insects, dust thus are fit for human consumption. 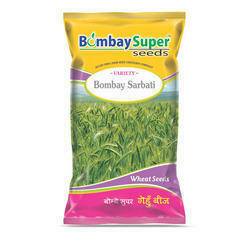 The clients can avail the Wheat Seeds from us in varied quantity as per the requirement in proper packaging. We offer the Wheat Seeds at affordable price in the market. Aurobindo Impex is one of the best Exporters and Suppliers of Wheat Seeds, located in Pondicherry (India). These Wheat Seeds are cultivated using 100% organic methods only. Also, to achieve longer shelf life and lasting fresh, these Wheat Seeds are packed using food-grade materials only. Owing to our huge network, we are capable of delivering orders of Wheat Seeds before the deadline. Our firm holds a eminent position as offering Wheat Seeds. Formulated at our vendors unit, our offered varieties of wheat are recognized for giving high level fodder yield. Having entire familiarity of the agricultural sector, our team members are able to process and provide the finest grade wheat to the valued clients.